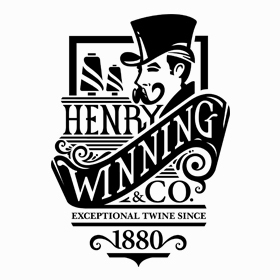 Henry Winning & Co are one of Europe’s leading twine and string manufacturers. Supplying quality UK produced twine for 130 years. Our unrivalled dedication and experience enables us to provide a complete range of natural and synthetic twines in a variety of sizes, thickness and specifications. We guarantee that you will receive the highest quality products at competitive prices. Exceptional twine since 1880. "As independents, we need that little boost from events like this. It highlights our profile and gives us a bit more of a presence in the community." "Customers love it. They love coming in, seeing new ideas and having a conversation about the different things they can do - such as the variety of way to cook meat."